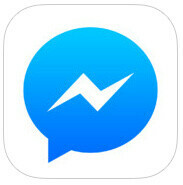 If you are a Facebook devotee, then it's almost certain that you have installed Facebook Messenger on your smartphone. This app comes with the chat heads feature, which allows you to quickly access your Facebook messages from almost anywhere, even in full-screen apps. Apart from releasing Messenger for Windows Phone, which comes sans said chat heads, Facebook also improved the overall functionalities of the iOS and Android versions of the app over the last few months. For starters, Messenger received a new feature, which allowed its users to instantaneously snap and send pictures to their Facebook friends, as well as make voice calls between each other. Additionally, one could head on to the gallery of their device and send any pre-recorded video. It seems that Facebook is really keen on videos, as the latest version of Messenger for iOS and Android, 6.0, allows its users to record videos up to 15 seconds in length and send them to their friends directly from the app. Sending one of these is downright simple, quite similar to the way one sends a video in Snapchat. Once you open Messenger and tap on the Camera icon on the bottom row, you have to tap and hold the Send button, which starts the video recording. After you've recorded whatever you desire, you release the button and - voilà - you are done! Another new feature is Big Likes, which allows you to send even bigger thumbs up if something really floats your boat. At the moment, it is unknown if the Windows Phone version of the app will be updated with these features. Hopefully, this will happen soon. Unfortunately, users were kind of forced to download this app because they have disabled messaging on the actual app. I hope G+ kicks Facebook's neck. There's nothing bad about messenger app everything is perfect. Only the original facebook app is laggy.